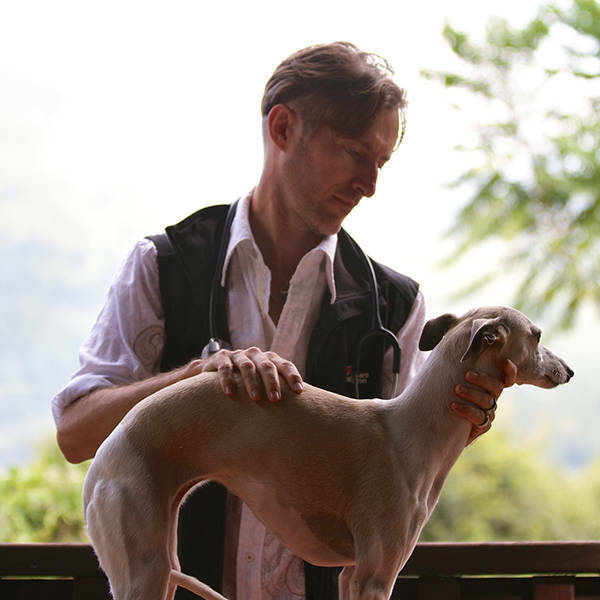 One of his clients said: "Dr Ed is has a unique approach to his treatment of animals. Unlike most vets he uses unconventional methods which most people around Australia would not have thought of as an option. I believe that will give him an edge over other vets in testing if holistic healing really works." My whippet is 14 months old. I got him from a breeder 4 wks ago and I am struggling to relieve his separation anxiety. He came crate trained but howls incessantly when he is left alone. Any advice who be most appreciated. My 13 year old staffy's energy levels improved greatly and the suggested diet change was great for her. He is wholistic, takes the natural approach when he can, and takes time to get to know what's right for your pooch. I highly recommend Dr Ed. Ed is a fantastic vet! He supported my family in learning how to care for our paralysed cat - - after mainstream vets told me the only option was putting her down. I'm an Ed fan - would be marvelous to see someone medical AND holistic based on your show! Doctor Edward's natural holistic approach to animal care and welfare is a refreshing take to just giving your much loved pet a pill.....he's great and has my kosupport all the way! Edward healed my little Jack Russell's back pain with a few sessions of holistic healing and advised us of a toxin free diet for her. We now have a different little girl, happy, healthy, no pain, with no invasive treatment at all. Holistic works with traditional, it's time. Edward is an amazing vet, he was the only vet that could heal my dog with his holistic treatment. Highly recommend him.